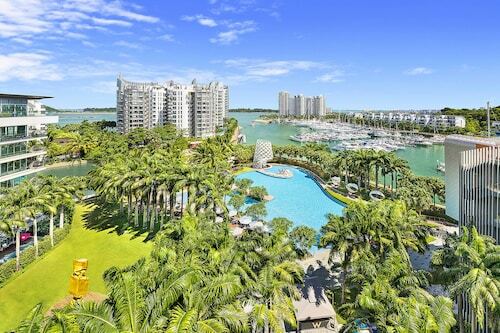 Take a cable car over to Sentosa and invest in some pure pleasure time at this luxury island resort. 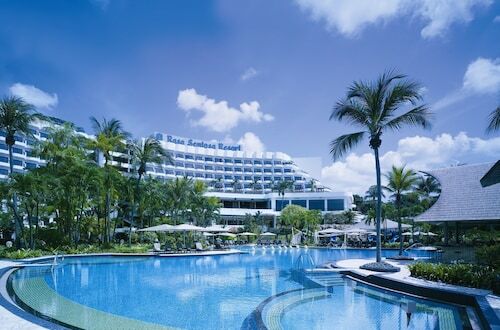 Sentosa is a purpose-built island resort, just 800 metres from Singapore's main island. It is packed with attractions – rides, animal and sea life experiences, golf courses, beaches and more. 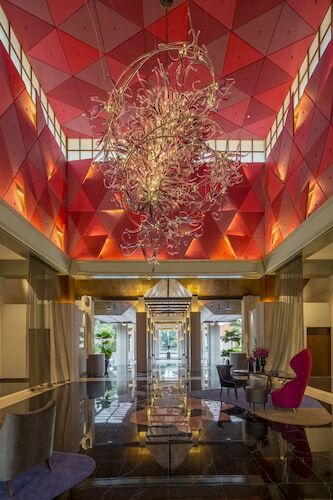 Due to the large amount things to do on Sentosa, many check in to one of its hotels. Arrive in Sentosa in style – catch the cable car that links downtown Singapore to the island. Alight at the Imbiah Lookout, the highest point on the island. This affords you some wonderful views of what awaits you. More awe-inspiring vistas are to be enjoyed from the Tiger Sky Tower, which is 131 metres high. Discover some of Singapore's history at Images of Singapore, where the visual and audio displays will keep every family member captivated. Or visit Fort Siloso to find out about the island's role during World War Two. Once you've been familiarised with Sentosa's layout and history, get stuck into its plenitude of attractions. Butterfly Park and Insect Kingdom has an incredible 15,000 butterflies flitting around its gigantic conservatory. Introduce yourself to more wildlife at Underwater World and Dolphin Lagoon. Its highlight is an 83-metre-long travelator, over which swims a multitude of aquatic life. Another great water-based attraction is Songs of the Sea, a pyrotechnic-filled spectacular which happens twice every night. Golfers will want to try out the courses at the renowned Sentosa Golf Club. More extreme visitors to the island should get to grips with MegaZip Adventure Park, which features a free-fall parachute simulator and a professional climbing wall. 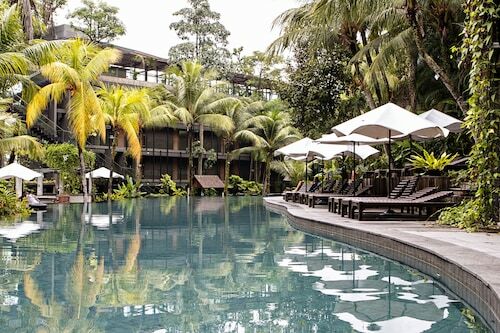 For pure relaxation, pitch up on the white sands of Sentosa's protected beach. Resorts World Sentosa is a day or two of entertainment in itself. Here, you'll find Universal Studios Singapore, a Marine Life Park and a host of other attractions. Sentosa is close to Singapore's downtown district. There are a number of ways to get there. Monorail or bus from the VivoCity Centre are two possibilities. Many prefer to hop on the cable car from Mount Faber or from the HarbourFront Centre. Sentosa itself is open daily. Check with individual attractions for opening hours. Three waterfront gardens make up this stunning combination of nature and human ingenuity. Get lost among the rainforest foliage, spices, herbs and flowers at this perennial Singapore attraction. Revel in the tens of thousands of orchid plants at this incredible colour- and scent-filled garden. This modestly-sized island is one of the last rural areas in Singapore, yet it’s just a stone's throw from downtown.